With the Model 3, Tesla is moving away from the mostly aluminum chassis that it designed for Model S and Model X with some high-grade steel reinforcements. Instead, the automaker is adding more steel to the mix for Model 3 and we now get our first look at the alloy mix in the chassis of Tesla’s less expensive electric car. The idea to use primarily aluminum for Model S and Model X was a decision aimed at saving some weight for those rather large vehicles. Tesla’s ~1,000 lbs battery pack gives a boost to their vehicle’s weights and the automaker aimed to compensate with a lighter chassis. At first glance, it’s a no-brainer since aluminum is also stronger per pound, but it is also more expensive to build and repair. Aluminum can be more difficult to manipulate and can require expensive specialty equipment. 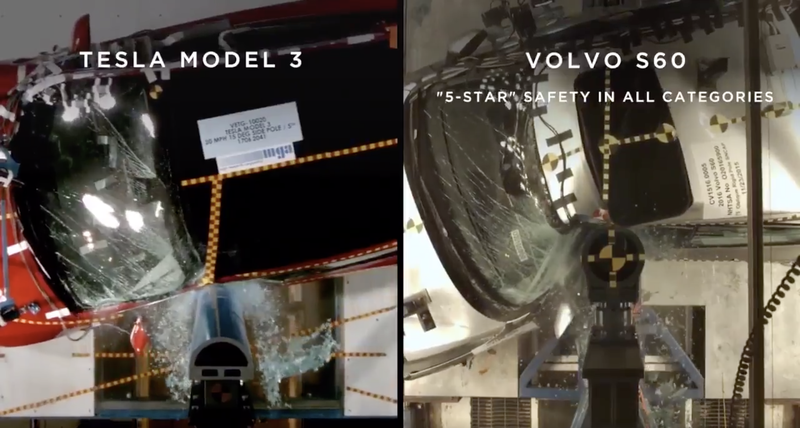 This was reflected in body work costs for Model S and Model X. While it can be a pain for some owners, it hasn’t become a major issue since Model S and Model X are already high-end expensive luxury vehicles with expected high repair costs. 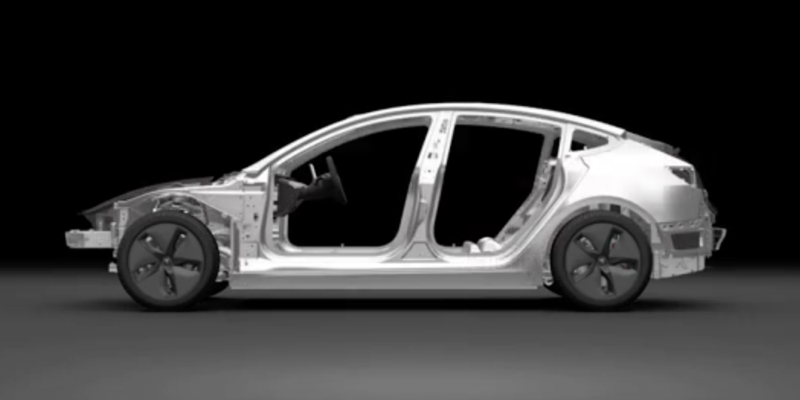 As you can see, the use of aluminum is fairly limited in the Model 3 body. Body repair shops will be able to attempt repairs on everything but “Ultra High-Strength Steel”. They still managed to maintain a decent weight of 3549 lbs for the base version (3814 lbs. for bigger battery pack). They expect to not only have 5-star ratings in every category, but also significantly beat the next best vehicle like in this case. With this said, NHSTA has not yet released any official rating for the Model 3. What do you think of the Model 3 body? Let us know in the comment section below.